A few months ago the fabulous Iona Bruce took on the Fitness Bytes grilling and this girl has goals! Who are you & how would you describe your current lifestyle? | I’m Iona, 24, a fitness and lifestyle blogger from Glasgow, Scotland. I’m currently training to be a personal trainer and have just got my first Fitness Coach role at The Club Gym in Glasgow! I’m also a trampoline coach and hopefully in the future I can be a strength and conditioning coach for athletes/sports teams! What type of exercise are you currently doing? | I do competitive trampolining but I also love weightlifting! This is definitely an underrated form or exercise, particularly by women! I’m also training for a 10k at the start of June which will be really hard work for me as my cardio fitness is not the best! How many times a week? | I trampoline twice a week and try to do something else at least twice, three times if I can manage! How long have you been doing it? | I’ve been trampolining for 14 years and weightlifting properly for 4. Being honest, have you been consistent? | Not always! Sometimes life just gets in the way or you don’t feel like it, rest is just as important as working out! How do you feel about your current level of fitness? | Quite happy but I know I could be stronger. What are you looking to achieve? Why? I haven’t been lifting as heavy as usual due to moving city and getting out of the habit so I want to get my lifts back to where they were weight wise and I also know I need to work on my cardio fitness for this 10k! When are you looking to reach your goal by? | Trampolining qualification, May. 10k is June and lifting my old weights probably July! How important is it to you to achieve your goal(s) | Important as I need something to aim for or I get distracted but it’s not the end of the world if they aren’t achieved in the time frame or not exactly as I want them. There is always more time to develop and will be another chance to achieve them in the future. Finally … What would you say to inspire others? | Life is about improvising. Have goals, aims and a focus but don’t get stressed or upset about things you can’t control. If a door doesn’t open for you, that isn’t your door. 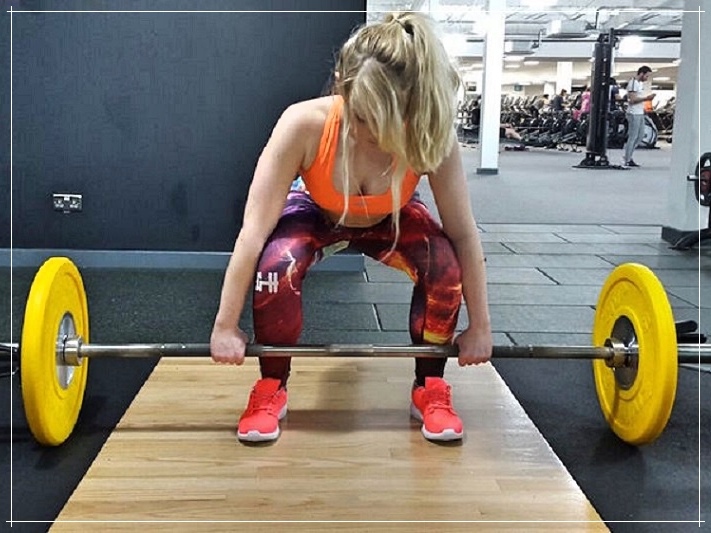 As a competitive athlete, SFN founder member, a #GirlGains ambassador, Personal Trainer and blogger, Iona certainly has a lot on her plate but she seems to be able to juggle everything perfectly! Life certainly can throw you curve balls from time-to-time and she’s right if that door doesn’t open for you, that door wasn’t for you. Keep dreaming, keep working and your door will come. You can catch up with Iona over at IonaBFit as well as on Facebook & YouTube too, go say hi! I hope you enjoyed this edition of ‘Fitness Bytes’ and if you’re interested in taking part drop me an email, I’d love to hear from you!